Sanyo has added a new camcorder to its Xacti range with the launch of the Sanyo Xacti VPC-CS1 Camcorder, and according to Sanyo, the Xacti VPC-CS1 is the worlds smallest, lightest and thinnest full HD video camera. 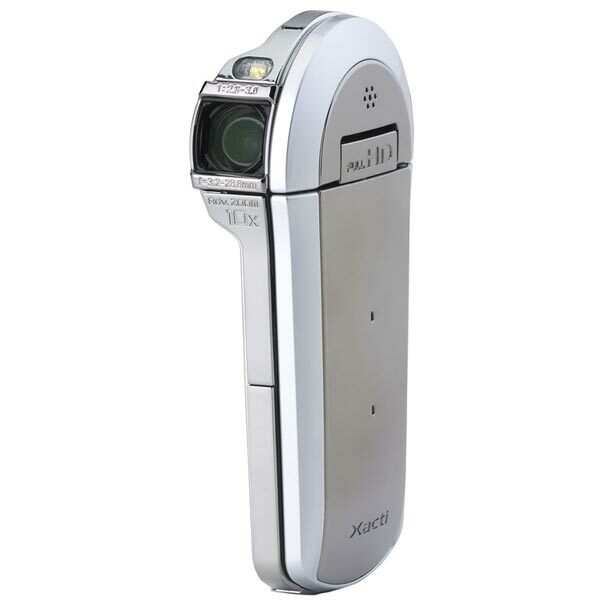 The Sanyo Xacti VPC-CS1 measures just 1 inch thick, and it is capable of recording full HD video, 1920 by 1080 (1080p) in MPEG-3 AVC/H.264, and it can also take 8 megapixel photos. Other features include built in image stabilization and a face recognition function, plus a mini HDMi port so you can hook it up to your HDTV, plus three microphones and a sound zoom feature that is designed to allow you to narrow the audio field. The Sanyo Xacti VPC-CS1 Camcorder will go on sale in February for $299.99, and it will come in a range of different colors, which include pink and silver.